Once I decided to live a healthier lifestyle, I started to look into different ways to boost my health. I read a lot about probiotics and wanted to find a way to get them in my body. I came to the conclusion that one of the greatest ways to ingest them was through kefir milk. So, I decided to write this post to show you how to make kefir milk. I learned a lot about kefir when I was on The Body Ecology Diet. I started purchasing store-bought kefir because I thought I didn’t have the time to make it. Over time, I started noticing how expensive it was to buy kefir from the store. There were times when I would be able to get kefir milk on sale for $2.99 a bottle. Most of the time it was over $4 a bottle. The bottle size I’m talking about was only a quart. I was drinking at least 2 cups of milk kefir a day so the bottle would only last me 2 days. One day, I sat down and really looked into how to make kefir milk. It wasn’t as hard as I thought. I figured out that I would save money. It cost me half the price to make it myself. By this time, all 5 of us were drinking it so it was getting very expensive. 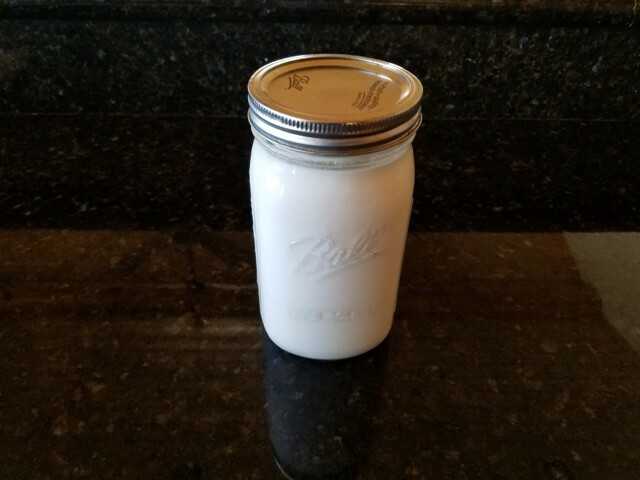 I pushed myself to make it and now its been over 3 years that I’ve been making my own kefir milk. I’d like to encourage you to make your own kefir. There are many milk kefir benefits but I’m going to list the evidence-based health benefits of kefir for you. Is Kefir Really Good for You? Kefir milk is a source of many nutrients. It is a rich source of calcium, protein, and B-vitamins. Kefir milk is a more powerful probiotic than yogurt. It contains about 30 different microorganisms. This makes it a way more potent source of probiotics than other fermented dairy products. Kefir milk has strong antibacterial properties. It contains the probiotic Lactobacillus kefir and carbohydrate kefiran. Both of these can protect against harmful bacteria. Kefir milk can help with various digestive problems. The probiotics in kefir can treat many forms of diarrhea. They can also make major improvements in various digestive diseases. Kefir milk is usually well tolerated by people who are lactose intolerant. During the fermentation process, the lactic acid bacteria pre-digests the lactose in kefir. There are so many kefir milk benefits. Just the four items above make it worth it for me. I’ve noticed a huge improvement in our health and specifically my digestive problems (I have GERD). If you’re thinking that taking probiotic supplements work the same as kefir milk, take a moment to read this article on probiotics liquids and food vs probiotic supplements. It’s not the same. The food probiotic’s give you the full benefit, not the supplement. 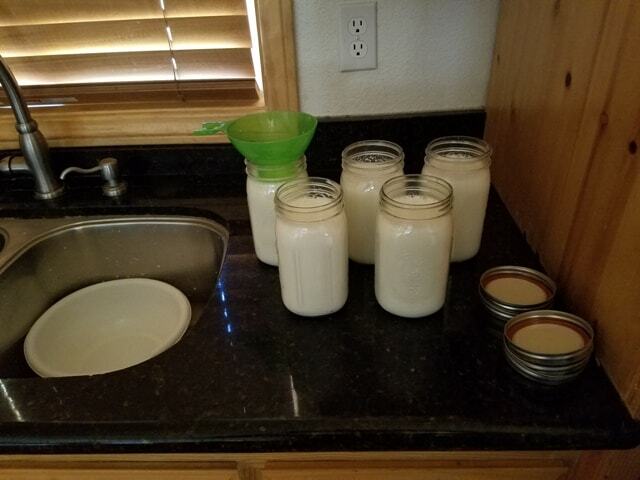 The process for making kefir milk takes 48 hours. First I’m going to list what you will need and then I will give you step by step instructions on how to make the kefir milk. This kefir recipe makes 19 – 20 jars (it depends on how much you fill up each jar). You can split the recipe in half if you want to make less. My mom and I split the full batch each week but I have made half a batch multiple times. It works either way. Once you have all the items listed above, you’ll need to make a spot to ferment the kefir milk. 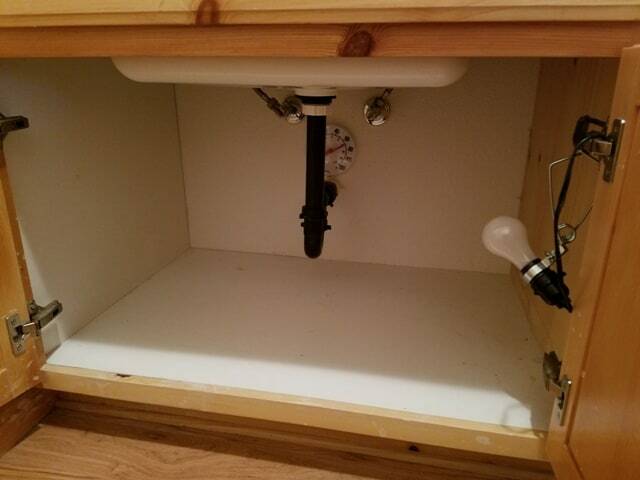 I use the cabinet space underneath my sink in my laundry room (pictured above). You’ll see that I have the clamp lamp light and the indoor thermometer set up in there. If you don’t have a space like this, you can use an ice chest or something similar. The goal is to keep the heat at a specific temperature so it ferments properly. 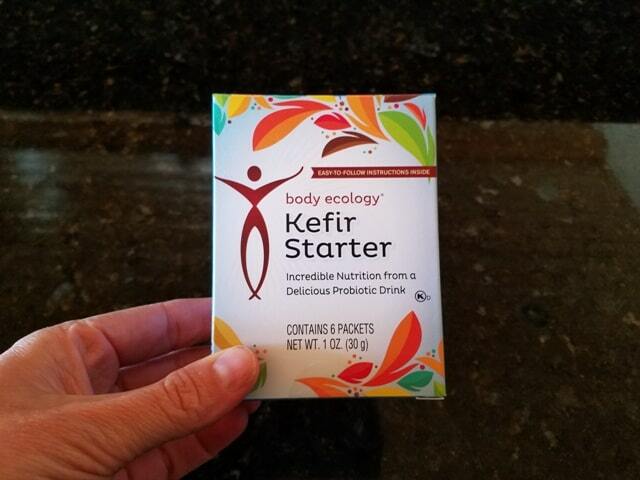 This is what the Body Ecology Kefir Starter looks like. It contains six fermentation packets. You only need one packet for this kefir milk recipe. The box with the remaining packets should be stored in the refrigerator to stay fresh. To get started, you’ll need to make your kefir milk starter. 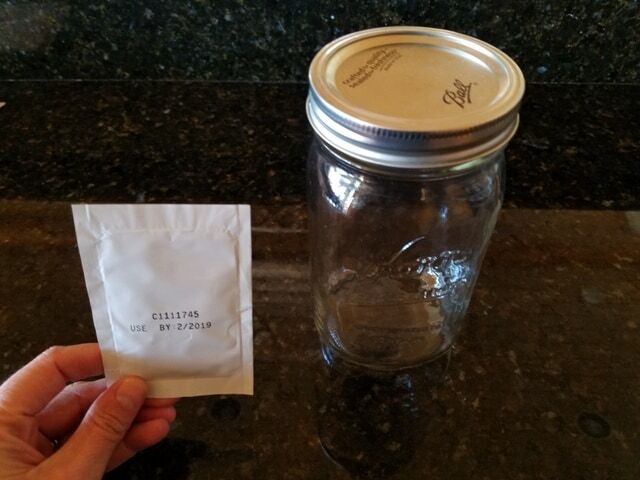 Fill a 32 oz jar with milk (do not add the fermentation packet until the step below). Pour the milk into a microwave safe bowl and put it in the microwave for 2 1/2 minutes. This is enough time in my microwave. It may be more or less in yours. The goal is to get the milk to a temperature of at least 92℉ but no more than 100℉. This is where the liquid thermometer comes in. If it’s over 100℉ you can add ice to it and let it cool down (I’ve done this before and it works well). Once your milk is at the correct temperature, pour it back into your 32 oz jar. Next, empty the contents of the fermentation packet into the jar and stir. Now take the jar and stick it into your fermentation area. Make sure the temperature in your fermentation area is at least 72℉ and no more than 77℉. I use a light bulb (LED light bulbs do not work for heat, you need the old school kind. I use a 57 watt light bulb) to keep it warm because I live in a colder area. In the summer, I don’t need to use the light. Let this ferment for 18-24 hours. 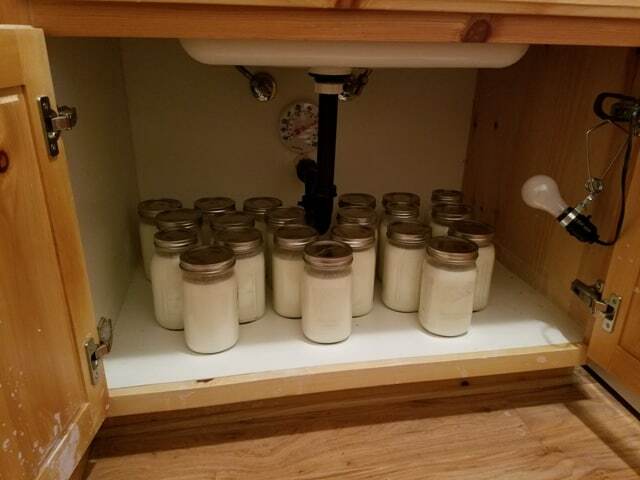 Once your starter jar is finished fermenting, you can start making your batches of kefir milk. This process takes me about 45 minutes. 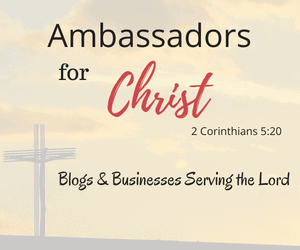 You need to set up your station. 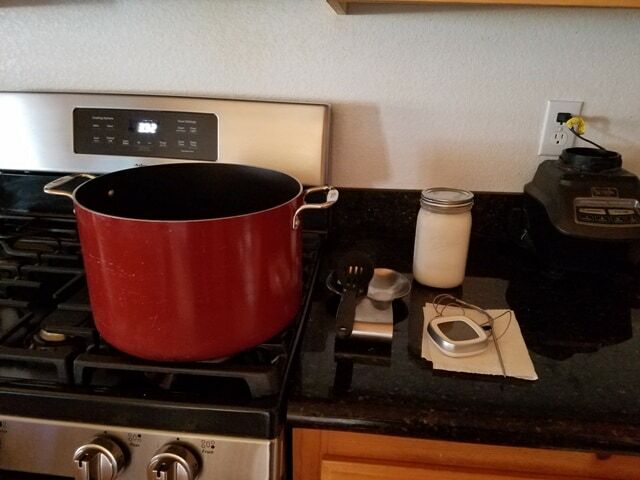 Here you see that I have a big pot, a slotted spoon, a liquid thermometer and the starter jar of kefir. Get one gallon of milk and pour it into the big pot. Heat the milk on your stove until it reaches 92℉. It’s hard to get the degrees perfect so just remember that it needs to be at least 92℉ and no more than 100℉. Make sure to stay near the milk. It can heat up really fast. If you overheat it, just add ice to it and wait for it to cool down to the proper degrees. While you are waiting for the milk to heat up, set up your pouring station. 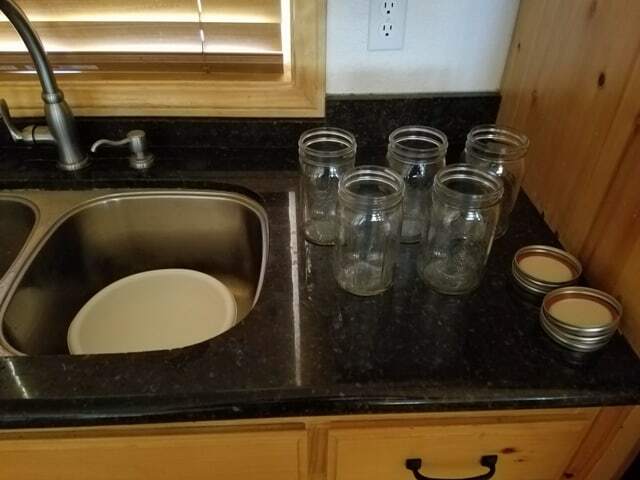 Here you see that I have a bowl in the sink and five jars open and ready to go. 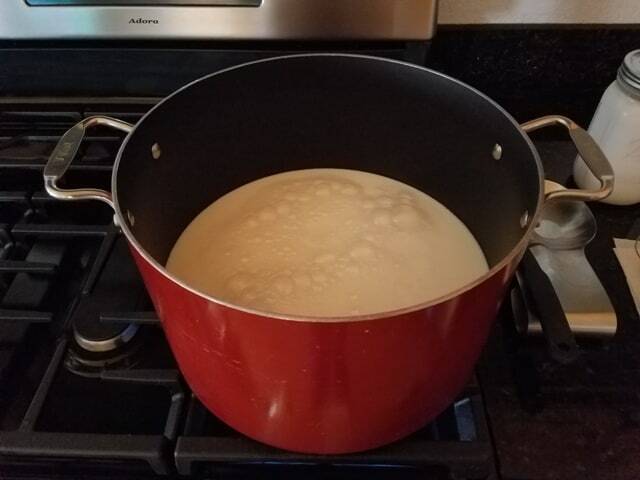 Once the big pot of milk is heated to the desired temperature, you need to pour one cup from the kefir starter jar into the big pot of milk. Stir it real good with a slotted spoon. Now, you can start pouring the milk into the 32 oz jars. I do mine in batches because the bowl gets really heavy when you are pouring it into the jars. Make sure to use the canning funnel when pouring the milk into the jars. Leave some space at the top of the jar. If you fill it to the top, it can cause the glass to crack during the fermentation process (I’ve had this happen and it is not fun). Once you get the five jars filled put them to the side. Start the process over with a new gallon of milk and repeat the process starting with heating a gallon of milk. The last gallon will be smaller because you used a quart of it for the kefir starter. You should end up with a total of 19 or 20 jars. Take all your jars and put them in your fermentation area. Make sure the temperature is correct. If you need the light bulb, make sure you turn it on. I check the fermentation area a few times a day to make sure the temperature is correct. Let the jars ferment for 18-24 hours. Once they are finished fermenting, the kefir milk will appear thicker. Transfer the jars to the refrigerator. The kefir milk will stay good for at least 7 days. I use the milk expiration date as my guide. If the milk is good for 10 days, so is the kefir milk. That’s it! Now, you have your homemade kefir milk. It’s a great way to save money by making it yourself. We go through about 10 jars a week because all 5 of us drink it. My husband makes a shake with it every morning for the 5 of us. He makes a shake by adding frozen blueberries, frozen strawberries, bananas, and flaxseed. It makes a really good fruit smoothie. If you’re interested in the exact measurements to make a shake feel free to contact me. Do you drink kefir milk? Interesting! I’ve never tried Kefir milk before. To be honest, I’m not a huge milk drinker. But this sounds like it is so good for you. It is really good for you. You can make it with coconut water too! I have never heard of this! My daughter has tummy troubles and I’ve been thinking probiotics might help her. Unfortunately I’ve also considered that she might be lactose intolerant. Trying to figure it out! I remember having trouble at a young age. This has worked wonders for me. Kefir is usually tolerated well by lactose intolerant people because the lactic acid bacteria has already pre-digested the lactose. This sounds like something that I should add to my healthy eating routine! And not difficult at all to make at home! Thanks for the easy steps to make my own.